My new go-to side dish. It’s tasty AND healthy! 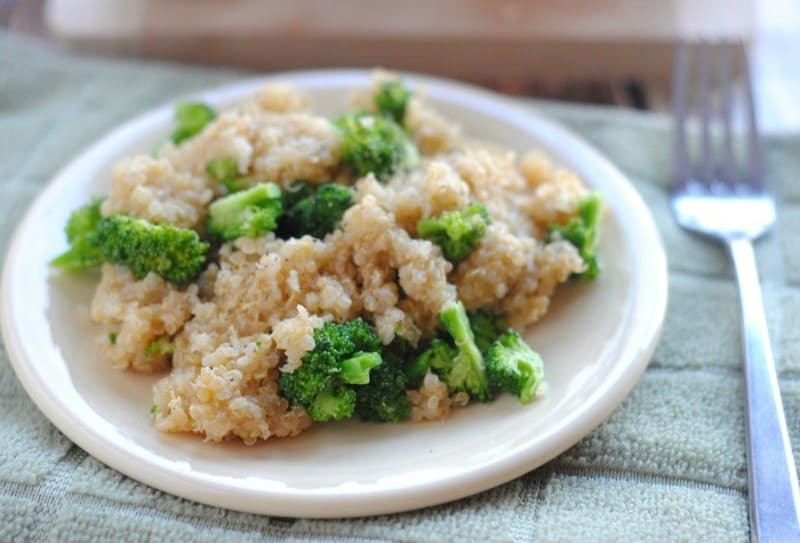 Plus, quinoa is high in protein so it’s a great side dish for the family…and leftovers lunches for me! Fun fact: Qunioa is the only plant-based protien to contain all 9 essential amino acids. It’s a really versatile option for us to serve because it works well with so many different flavor options. Fun fact: quinoa isn’t actually a grain, which I always thought it was. It’s the seed of a plant! Bring the chicken broth/water to a boil and add in the quinoa. Turn the heat down to low and allow the quinoa to simmer in the broth for 10-15 minutes until cooked. You might have to add a little bit more water if it thickens to fast. While the quinoa is simmering, dice up the broccoli and steam. I did it the easy way and added it to a glass dish and put 1′ of water in the bottom and microwaved for 4-5 minutes until it was forkable. 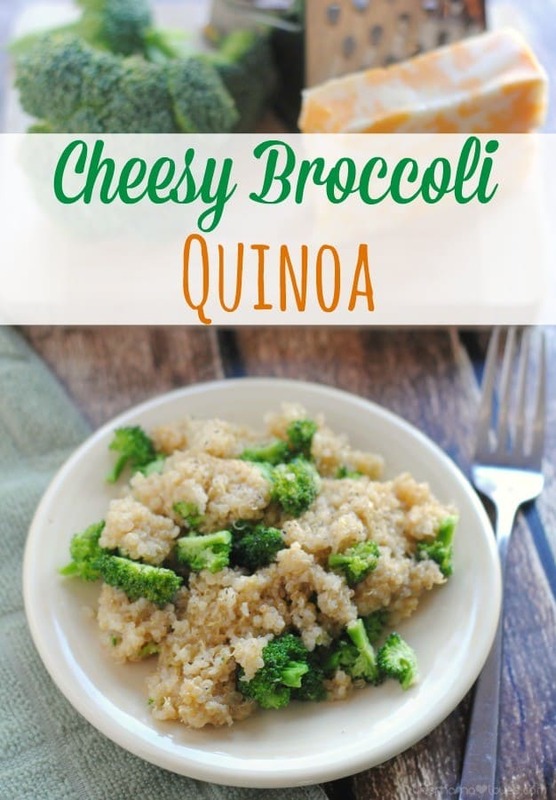 Once the quinoa has cooked through add in the steamed broccoli and shredded cheese – stir until the cheese has completely melted. That looks really good. I am definitely pinning this recipe. mmm I have some quinoa and have been looking around for a good recipe – I’d love to try this!! I never thought of putting it with broccoli my fav! !